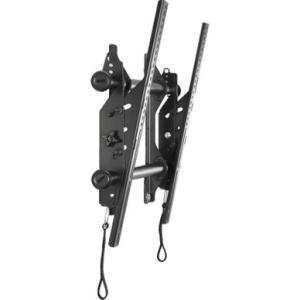 This versatile wall mount allows you to make numerous adjustments to your display after it's mounted for perfect positioning on the wall. It shifts from side-to-side, tilts to allow for easy installation of cables, and provides an audible "click" when the display is safely engaged with the mount. Maximum Screen Size Supported: 63"
Minimum Screen Size Supported: 37"